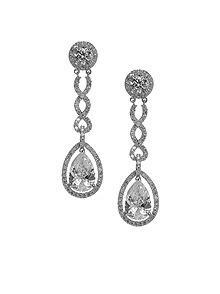 These exquisite pear shaped cubic zirconia drop earrings will sparkle all the way down the aisle. The vintage design is timeless in its elegance. Stones are set in rhodium plated brass.